Diane Howse is an artist and curator with extensive experience of developing a wide range of projects across the cultural spectrum. Over the last 25 years, she has been instrumental in developing the strategic cultural policy for Harewood House Trust in Yorkshire. She founded the Terrace Gallery there in 1989 (the first designated contemporary art space in an English country house) and has overseen a continuously changing programme of exhibitions and projects by a wide range of practitioners. She has been personally involved in many of these projects, such as the year-long programme of exhibitions and events commemorating the Bicentenary of the Abolition of the Slave in 2007, which culminated in a series of performances of Geraldine Connor’s theatrical spectacular Carnival Messiah. In 2006, she was one of the founders of PSL (Project Space Leeds), a large-scale independent contemporary art space in Leeds city centre. 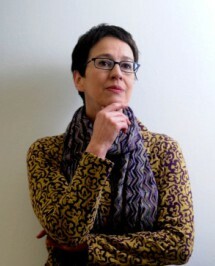 She continued as a Director of the organisation until 2011. She is actively engaged with the arts in the Yorkshire region having relationships with a broad range of organisations, as a partner or adviser as well as continuing her own artistic practice. She has work in many private and public collections.